ADULT: Wingspan 30-35mm. 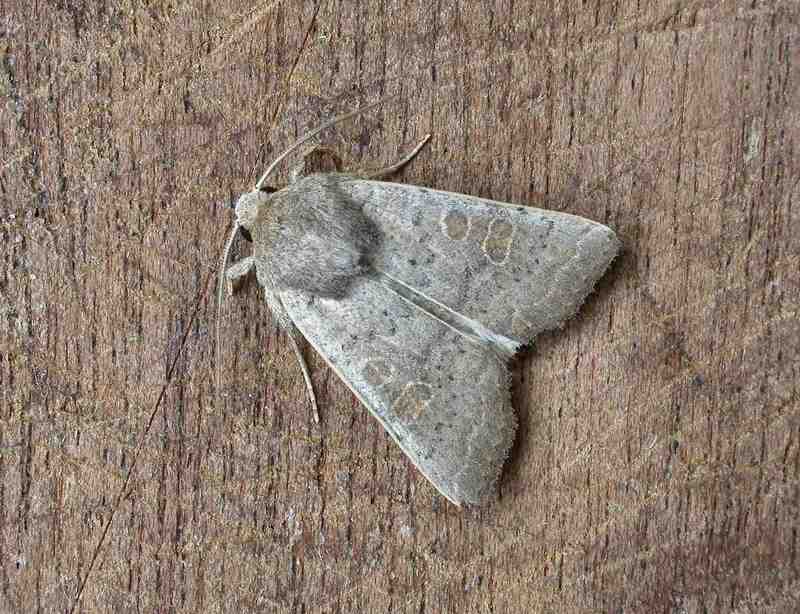 A cold grey moth that becomes more distinctive as familiarity grows. The key characteristics are the large, round stigma, general cool ground colour and the pearly looking hindwings. CHRYSALIS: Pupates underground. LARVA: Feeds on docks, dandelions and other herbaceous plants. BEHAVIOUR: Attracted to light and nectar. HABITAT: Rough weedy areas, gardens, heaths and coasts. FLIGHT PERIOD: Double brooded. May to July and August and September. STATUS: Resident and suspected immigrant. More common in the south.